A strong morning routine ensures that the day starts off on a positive note and focuses students’ attention on the day’s tasks and agenda. 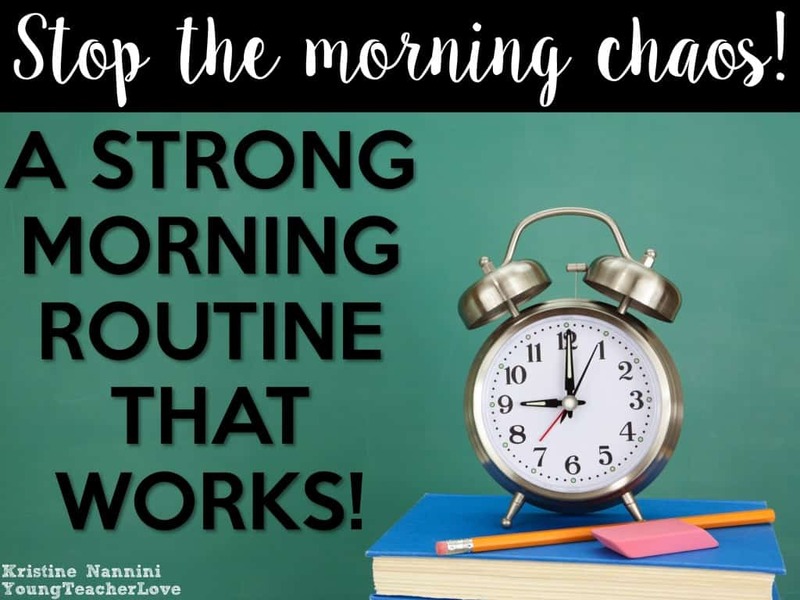 When you establish an effective morning routine, it can strengthen classroom community, students’ self-esteem, and students’ attitudes and behavior toward school. When you walk by my classroom each morning (before the bell rings! 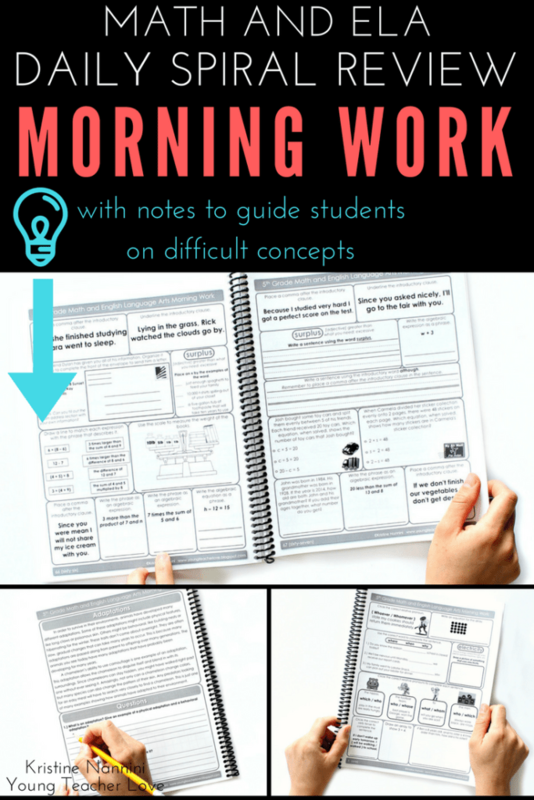 ), you will see my students happily (and calmly) chatting with each other, turning in their homework, and sitting down to quietly begin their morning work. To an observer, my classroom looks like a well-oiled machine each morning. My students are happy, and they know exactly what’s expected of them. However, it’s important to remember it wasn’t always like this. 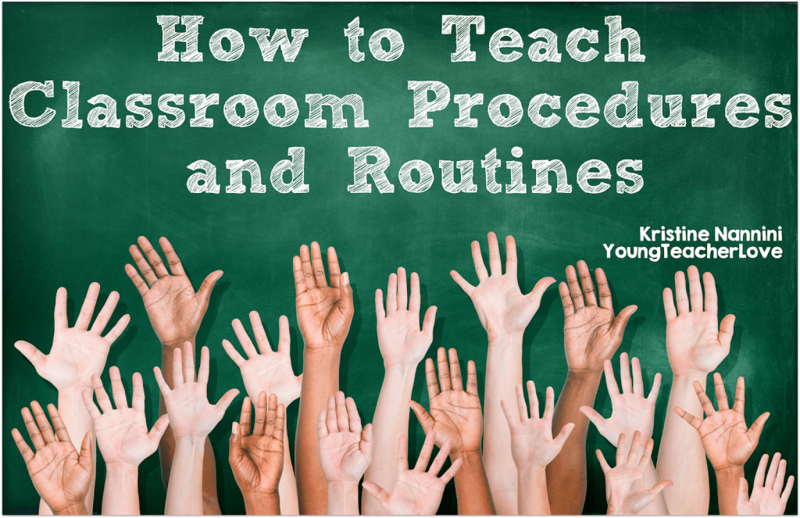 It took me some time to realize the importance of these procedures and routines. Now, unlike most teachers, the morning is my favorite time of the day. I get to enjoy my coffee and greet each of my students with a quick chat and sometimes a big hug. 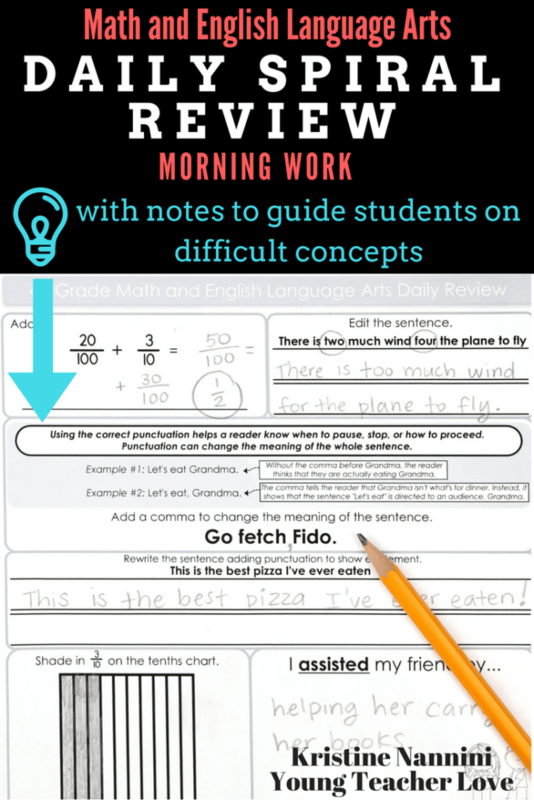 I don’t have to correct behaviors or nag them to get started on their morning work. They do these things automatically. How do students do these things automatically? Well, we spend time at the beginning of the year teaching, modeling, and practicing these specific morning expectations. While every classroom is different, below is a list of the top 10 things you need to teach, model, and practice with your students in order to have a successful morning routine. Notice that I wrote Teach, Model, and Practice in bold letters. This is extremely important because students have a lot of responsibilities in the morning. You must make those first few minutes of the day one seamless procedure. Your students need to know exactly what to do every single morning that they walk into your classroom. 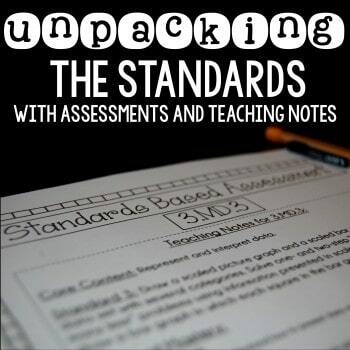 You have to teach your students the step-by-step procedures you want them to implement, you have to model how to do it correctly, and you have to let them practice these procedures until they can do them independently and with success. Again, it’s important to remember that every classroom and school is different. You may have 20 things your students need to do each morning or 5. Below, I’m sharing my step-by-step morning routine that has worked for me with 100% success. Students don’t have a lot of time for breakfast, so it’s important that they skip their lockers and go sit down for breakfast first. After breakfast, students walk back to our hallway to drop their personal belongings off at their lockers. I don’t let students interrupt learning to constantly go out to the hallway and grab forgotten items out of their lockers. Instead, I explicitly teach them what needs to stay in their lockers and what needs to come in the class with them. All outside gear and backpacks stay in their lockers. Things like school supplies, books, water bottles, a snack, etc. must come in the classroom. In the past, I left a sign outside my door each day to remind students what they need to bring in from their lockers, but this became too much work for me to manage. 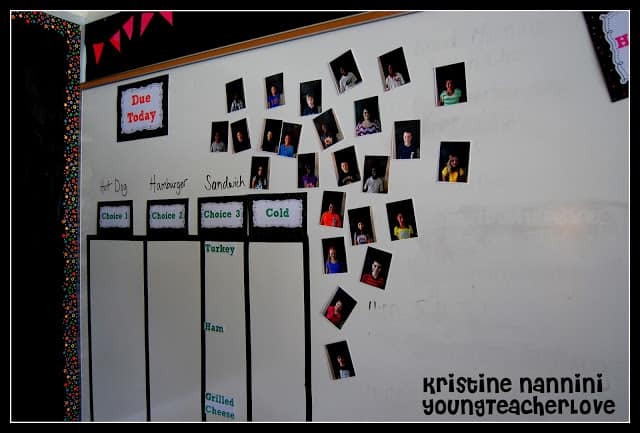 Now, I explicitly teach my students what they will need at the beginning of the school year and through practice, they remember their items each day. With this step, I also teach students how to properly shut their locker doors. It’s not fun when your class is trying to take a test, and the class across the hall is slamming their locker doors. It’s important to be considerate to the other classrooms around you. I also teach my students the importance of quickly dropping their personal belongings off at their locker and coming into the class. Before I did this, I had girls looking in mirrors and brushing their hair at their lockers for ten full minutes! To repeat what I wrote above…YES, you need to teach this! 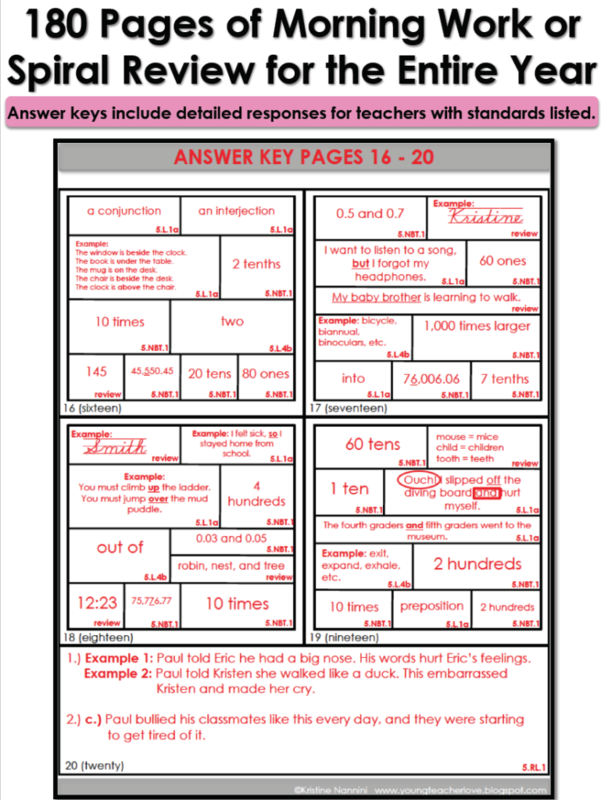 In my first year, before I knew I was supposed to teach this, I had a student hurl their belongings like a professional basketball player across the room in hopes they would land on their desk. Again, to repeat above, you NEED to teach this. In the past, I have had students attempt sword fights with chair legs and almost poke an eye out. You’d be surprised what they can do with a chair. Also, see those multi-colored chairs below? 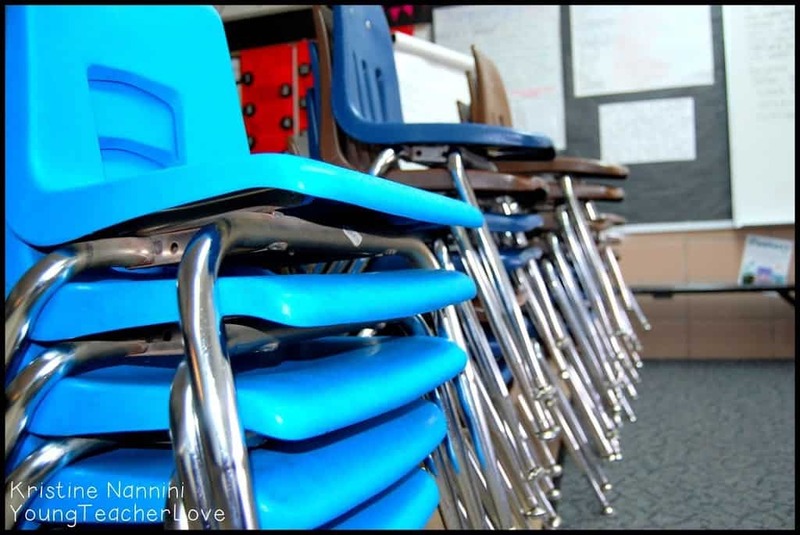 You bet that without proper procedures in place, students would argue over those five light blue chairs each day! 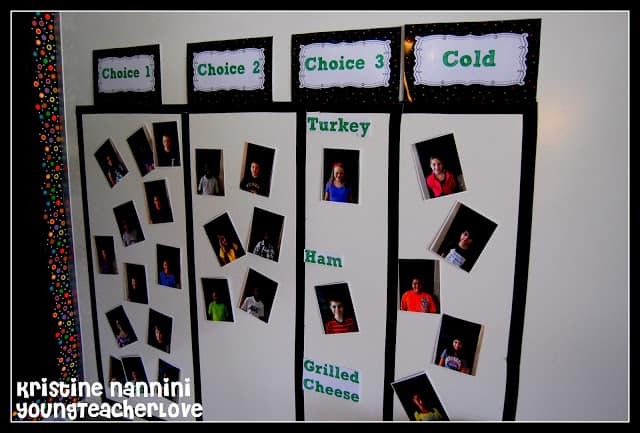 It’s important to keep a lunch menu near this area, so students always know the options that are available to them. You can read more about my lunch choice station and set up in this blog post HERE. I keep a morning message up on my projector screen each morning. On it, I write a simple good morning message, what is due that day, remind them what they need, and give them directions to start their morning work. It’s important to teach your students to read the entire morning message. I didn’t do that my first year and found that students were only reading the first sentence or two. Then, they were not prepared for the day! 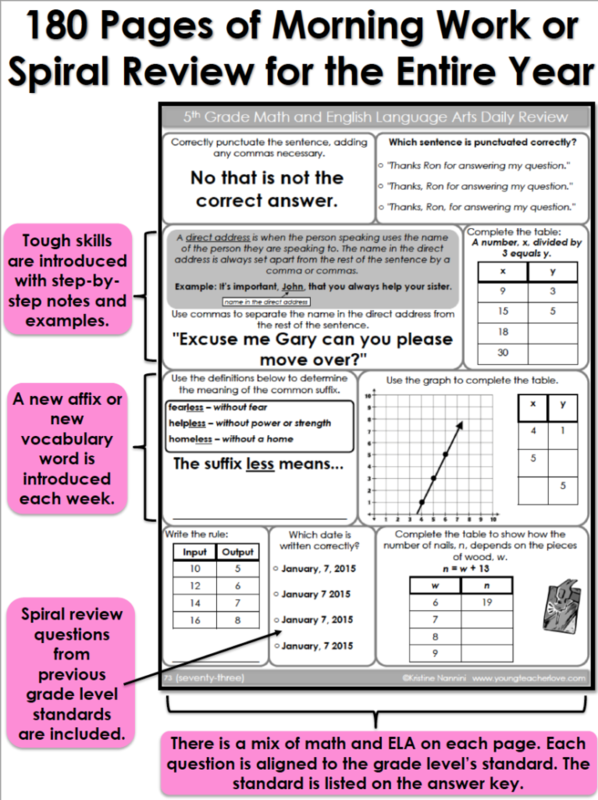 You can watch a video about my homework management system HERE. Before I did this, students would ask me all day long if we had gym or music and what we were doing next (even though the agenda was posted!). Now, I don’t get questions like this. 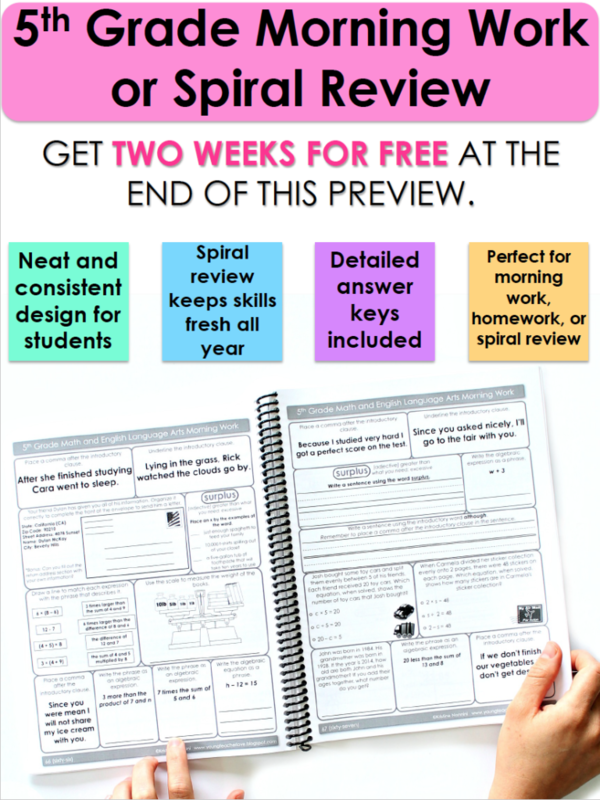 Students know it is posted for them, and they can just look back to see what’s next. 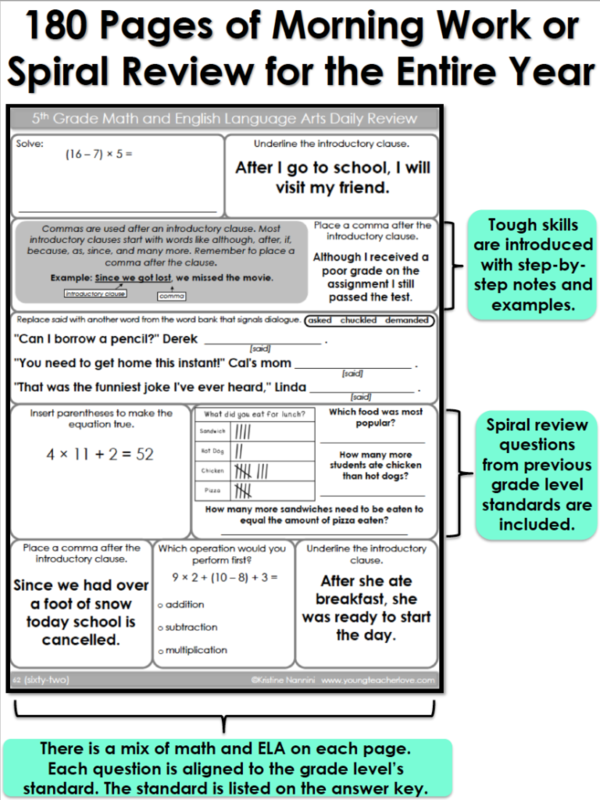 The best thing I ever did was create my structured Morning Work resource that you can find HERE (I currently have 4th grade and 5th grade versions available). 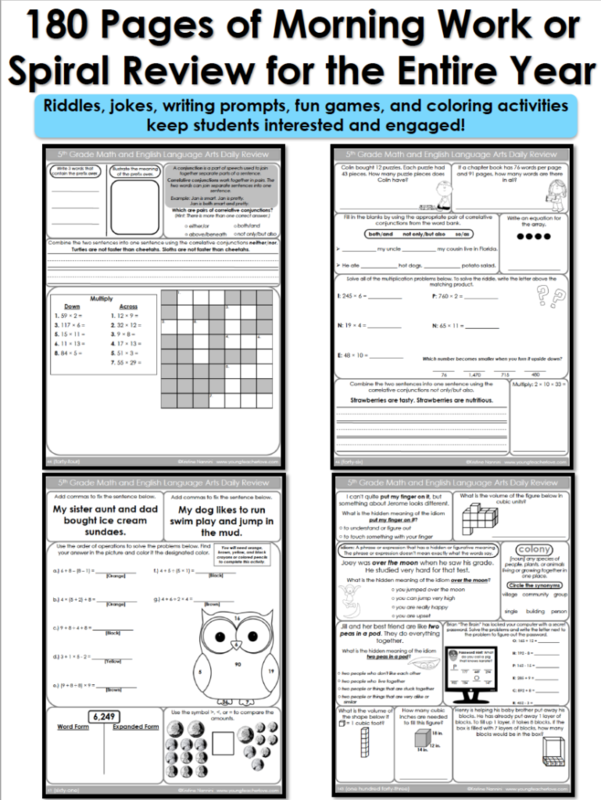 These structured Morning Work resources are fun, engaging, and rigorous. 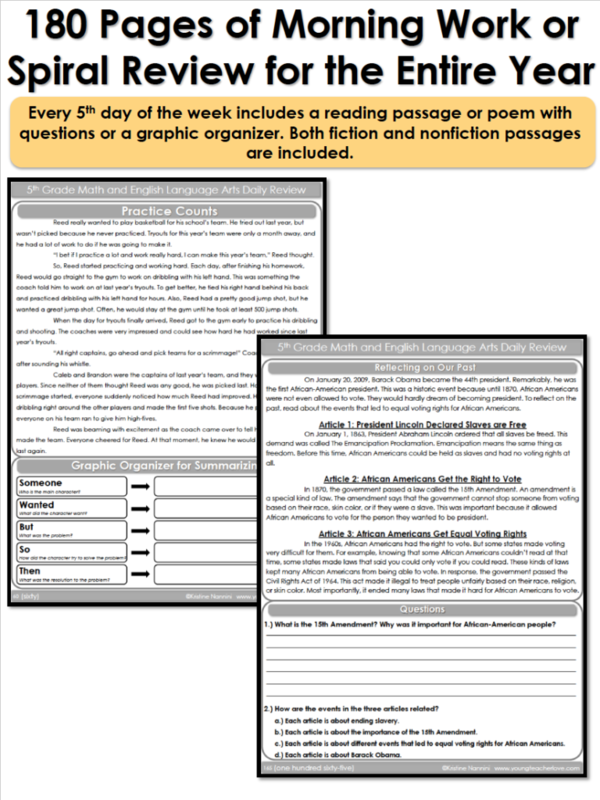 I simply post which page students are to work on that day, and students eagerly get started each morning. 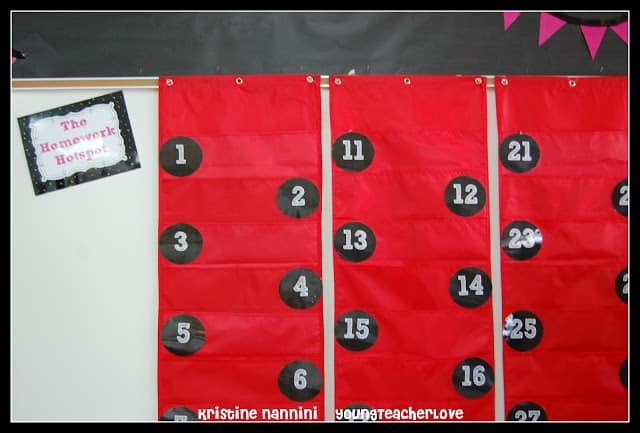 I include games, puzzles, and other fun activities, so this is something students really look forward to. Throughout the years, I had never found anything that would not only hit all the standards and include review, but also be really fun. So last year, I decided to create these myself, and my kids love them. It’s also important to remember that depending on your students, you may need to model and practice more that just what I’ve listed. 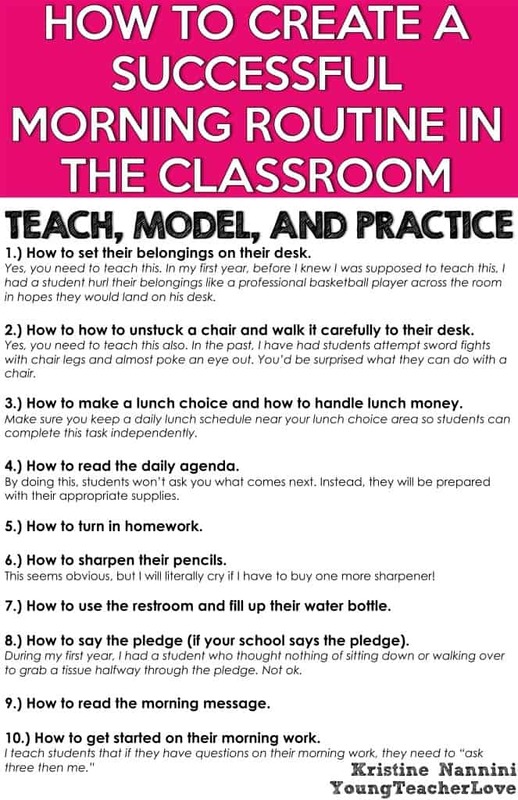 I’ve had years when I needed to model and practice how to walk in the classroom during our morning routine. I’ve had years when I needed to teach my students how to appropriately say the entire Pledge of Allegiance. Other things I’ve taught in the past include how to greet friends and other teachers in the hallways (it’s important to ask for a hug before just giving one). I’ve even had to teach students how to take off their winter gear in an appropriate manner! Trust me, nothing is off limits! 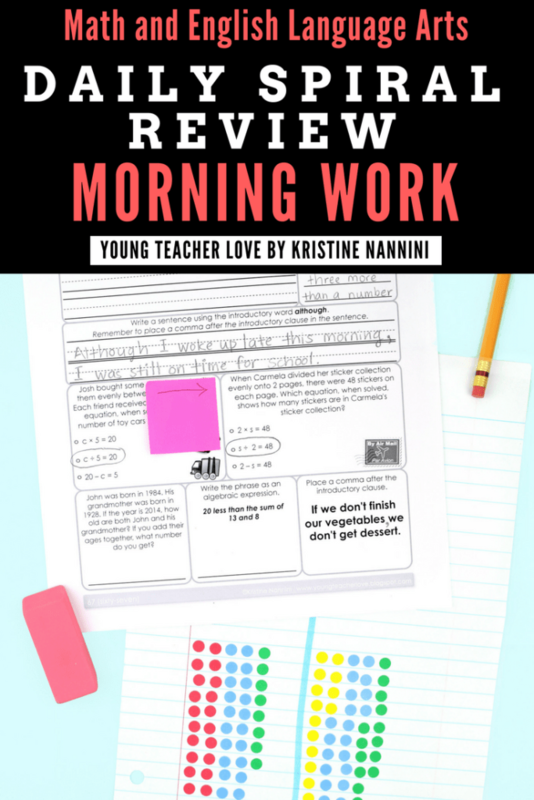 Looking forward to the 4th grade version of Daily Morning Work. Can’t wait to purchase it for my class. Love your easy to implement ideas!! Very helpful and practical. Thank you, Catherine! I appreciate your kind words! 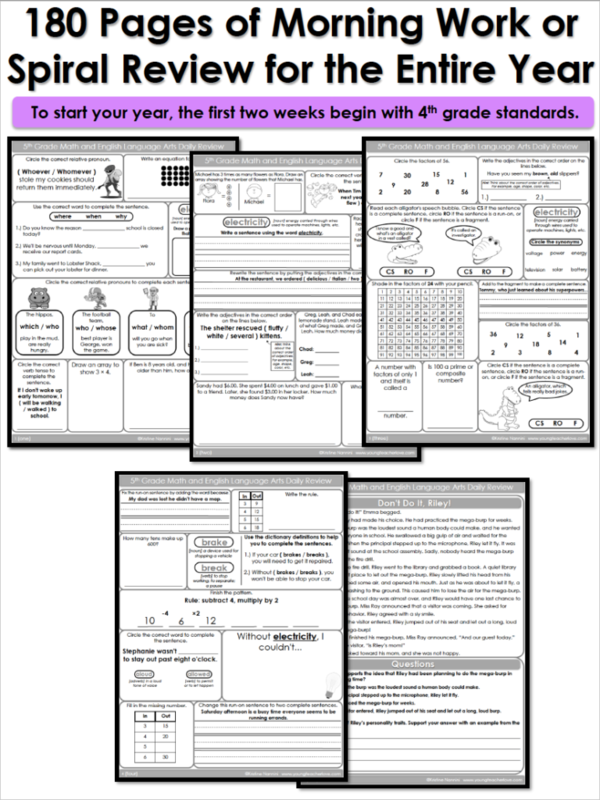 I CANNOT wait for the 4th grade morning work to be up on your tpt store!! I love your work! I am looping to 4th and am looking forward to using your version of Daily Morning Work! Thanks! Thank you so much, Joelle! I hope to have it out this week! Very good post. It’s so important to be very clear about our expectations and model, model, model what you want. Great reminders. Thanks. Thank you for the reminder on modeling! It is so true that nothing is off-limits! I love the daily work idea. I love how you thought out and broke down all the steps one by one. I won’t be surprised if you have a great year! You are so right about those routines and spending time getting them started. It’s always the first thing I address when mentoring new teachers. Your routines here are solid and well thought out. 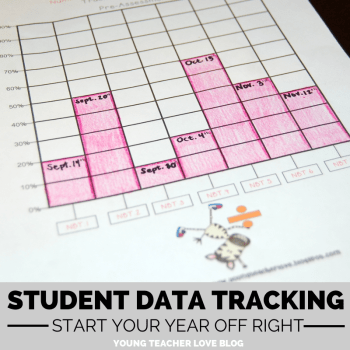 I always sit down with those new teachers and help them plan out similar things for every single time the kids come in the room (first thing in the morning, right after recess, right after lunch, etc….). Thanks so much for your comments, Alicia. That’s awesome that you mentor new teachers. It’s especially awesome that you provide them with this information. I didn’t learn this valuable information until I had a class of my own and no mentor to help! 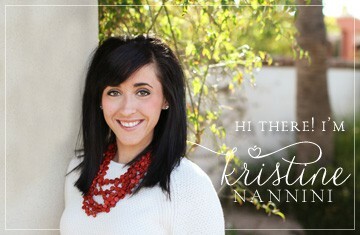 I can’t imagine how different my first year would have been if I had someone mentoring me! Have a great year! Great post. I just enjoyed reading this helpful post. Thanks, next year I hope to have a better schedule in the morning to implement these ideas! Thanks so much, Meaghan! If you need help, don’t hesitate to ask! I love your morning work! I feel like sometimes I spend too much time on morning work though. Do you grade them together as a class or do you grade them yourself? How many minutes does your morning routine usually take? 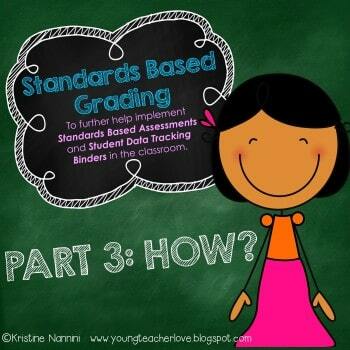 Hi Monica- If you have my Morning Work, I include teacher directions to give you more ideas on how to grade these. There are times we grade them as a class, and there are even times that I leave out the answer key and student’s check their own work. This usually takes no time at all. I hope this helps!